Welcome to the Mental Health department at Albin & Co Solicitors. We have an experienced team of Solicitors, all of whom are members of the Law Society’s Accreditation Scheme, dedicated to representing people who come into contact with mental health services. The team is supported by an able caseworker. Our Mental Health team deals with all aspects of the Mental Health Act and Mental Capacity Act. We understand that this can be a stressful and difficult time not only for the individual in question but for family and friends also. Our Mental Health team work closely together pulling on the wealth of experience and legal knowledge to ensure that we provide the best service possible. We are an approachable and friendly team who are always willing to discuss potential new cases should you require advice and assistance in this area of law. 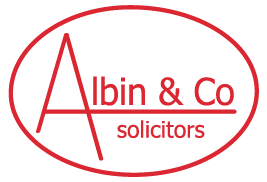 Albin & Co has contracts with the Legal Aid Agency to provide advice and assistance in the South West and the South East. We represent clients within all levels of security, including high secure hospitals, medium secure hospitals and low secure hospitals, as well as in the community.